PhDr. Ilja Šmíd, the Minister of Culture, has officially appointed the curators of the Czech representation at the 14th Prague Quadrennial, which is going to take place from 6th to 16th June 2019 at the Industrial Palace and at Výstaviště. The jury has chosen Ivo Kristián Kubák’s CAMP Q for the Exhibition of Countries and Regions. The INTELEKTRURÁLNĚ group made up of Brno JAMU students has won the tender for the Student Exhibition. Ivo Kristián Kubák and his team are going to represent the Czech Republic at the Exhibition of Countries and Regions at the PG 2019, which is the core of the showcase. His CAMP Q project wants to express and initiate the audiences into contemporary trends in theatre and scenography in all its forms reflecting events and ideas of society. 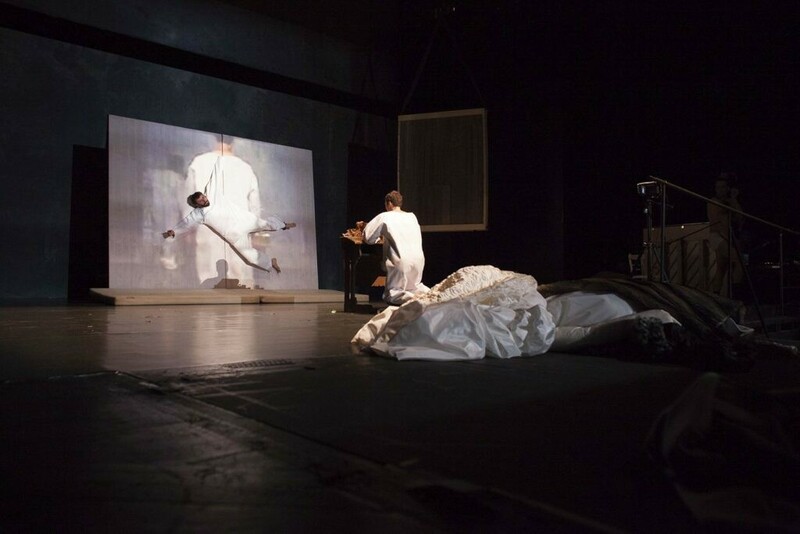 At the same time, Kubák and his team aim at pointing out the most innovative scenographic trends of realization in independent theatre. “We believe it is time to present the growing and progressive trend in Czech theatre in an international context. The project emphasizes the uniqueness of solutions, in which limitations based on instructions lead to creating new innovative attitudes and trends, and are impulses for new creativity,” Kubák said. His immersive exposition, imitating a refugee camp, combines immediate experiences with emotions of concern and fear. The INTELEKTRURÁLNĚ group made up of Brno JAMU students has won the tender. “The PRAGUE IS NOT CZECHIA project deals with culture outside institutions and cultural centers as well as outskirts and village culture, strawberry fields culture, walks in the countryside, local markets and festivals. Using our installation, we will uncover the frequently neglected reality outside the capital in the simplest way: the direct confrontation. The visitors to the Prague Quadrennial become tourists traveling to see the authentic heritage of the Czech Republic. When local heroes encounter PQ visitors, we will hopefully be able to decentralize the artistic apparatus and experience a great adventure in places where nobody would expect it,” said the winners from the Janáček Academy of Performing Arts in Brno. Ivo Kristián Kubák was the curator of the Czech exhibition GOLEM Cube at the Prague Quadrennial 2015. He studied the theory of criticism and directing at DAMU in Prague and continues in his PhD studies there. He teaches at the Na Zatlace grammar school and he is a lecturer of the staging production of the Švandovo divadlo in Prague. He and Marie Nováková founded the theatre company Tygr v tísni. He is the director of the art venue of VILA Štvanice. He deals with drama in non-traditional spaces, staging the non-dramatic topics and is interested in directing the stage reading. Kubák received the Josef Balvín Award in 2014. INTELEKTRURÁLNĚ company is Anna Chrtková, Jan Matýsek and Andrea Dudková, who study stage design at JAMU in Brno. The studio is managed by Czech costume designer and stage designer Jana Preková. The Prague Quadrennial of Performance Design and Space is the biggest world event examining performance design in its whole range – from scenic art, costume, light and sound design to new scenographic approaches, such as site specific, applied performance design, street performance, costume as performance and many others.